Now in recent years there have been a couple of picture books that I personally have come to love more than my children I think. These were Lady Pancake and Sir Toast and it's sequel, The Case of the Stinky Stench. Both books came from the fantastic author, Josh Funk. Now while I wait for the third book in the series to be released, I bring to you his latest offering, Albie Newton. 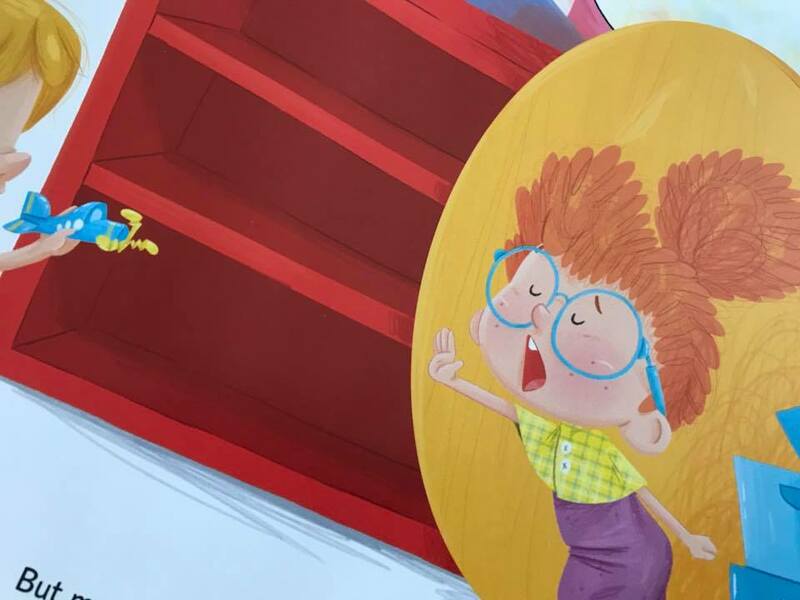 When whiz inventor Albie Newton enters school, he concocts the perfect plan for making friends. Unfortunately it involves stealing Hamilton the hamster's wheel, pulling he wings off Dave's wind up toy plane, and causing massive pandemonium. Now everyone's angry at Albie! Curious Shirley knows Albie doesn't mean any harm, but can she convince the other kids to give him a second chance? Maybe his incredible new invention will do the trick . . .
Straight from the front cover you are drawn in to this entertaining tale. Albie looks like your typical kid and as a parent what I like is that he's showing kids that actually it is cool to be different and it's making that topic of science seem a lot more appealing! Little Albie oblivious to what others think of him believes he can find a solution to every problem, his current problem, making friends. Being a clever kid Albie isn't a bad thing but when you're younger (and when you get older) some people will be either jealous of your abilities or perhaps a bit intimidated. "Clap your nads, good morning! It's great today's today! Here at school you'll make some friends, discover, learn and play!" As Albie focuses on his brilliant invention the children around him are becoming more and more irate. Each one feeling as though Albie has wronged them in some way. Could it be that they all need to just stop for a moment. We can all get a tad carried away sometimes and what we learn in Albie Newton is that even though we might not like what someone is doing or even agree with their actions, on some occasions those people who we think are in the wrong, actually have the best of intentions. And this is where the voice of reason, Curious Shirley, happens to save the day. I'll construct a special gift before the school day ends. The lesson I think children can learn from this is the need to consider other people's feelings, not just your own. 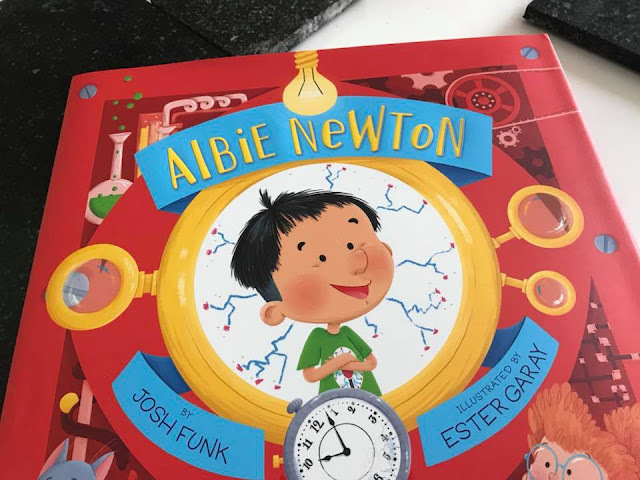 Cleverly presented, Albie Newton is a book that not only looks at the idea of friendship and what that might mean but it also in my opinion gets children thinking outside of the box, because after seeing Albie's invention (which is pretty epic by the way) what could they go on to create? 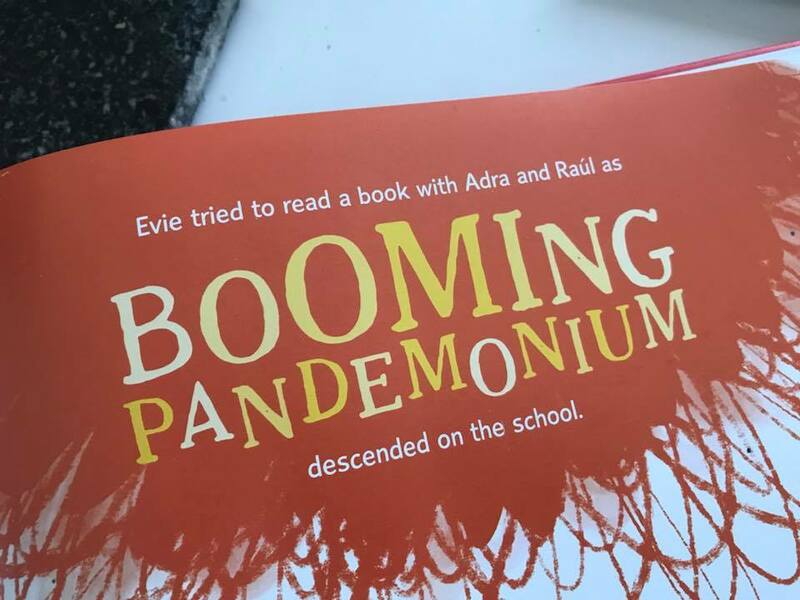 I love the illustrations in this book. It's so bright and colourful. This sounds like an entertaining book, but also a good way to get children to consider other people's feelings.